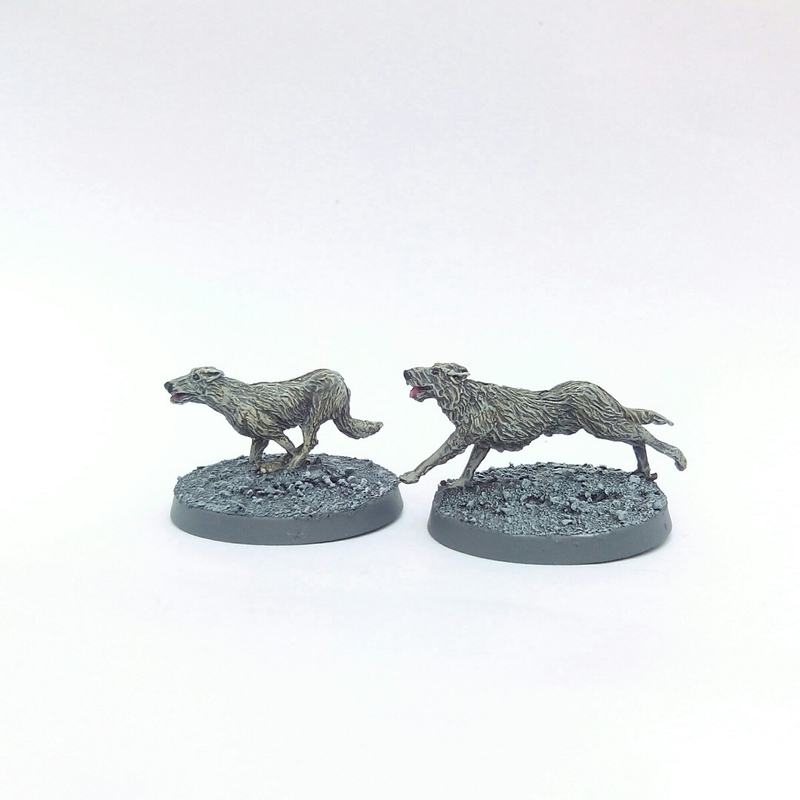 I initially bought a box of GW Fenrisian Wolves for this but they turned out to be a little too big for Frostgrave in my opinion. 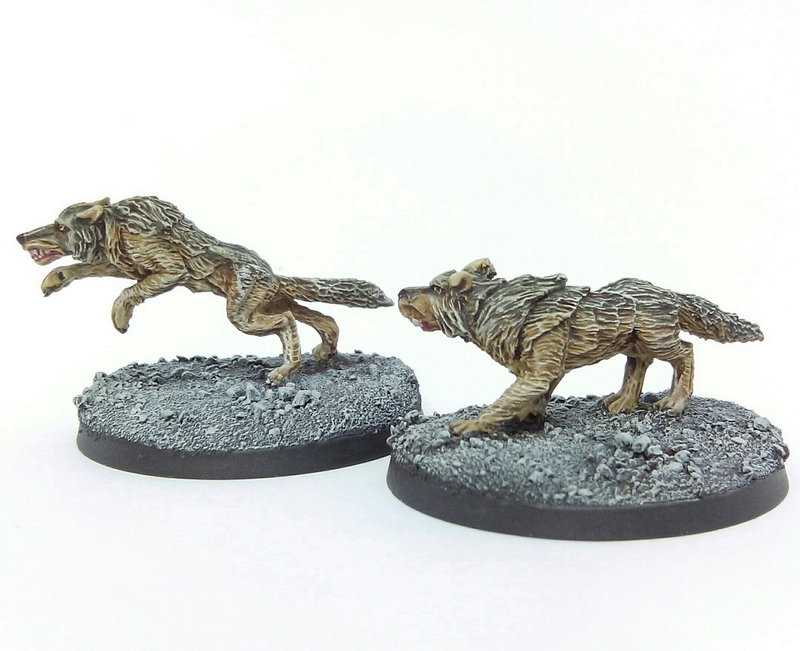 I decided to save them for later projects and instead got hold of a couple of Ral Partha wolves from the early/mid 90s. 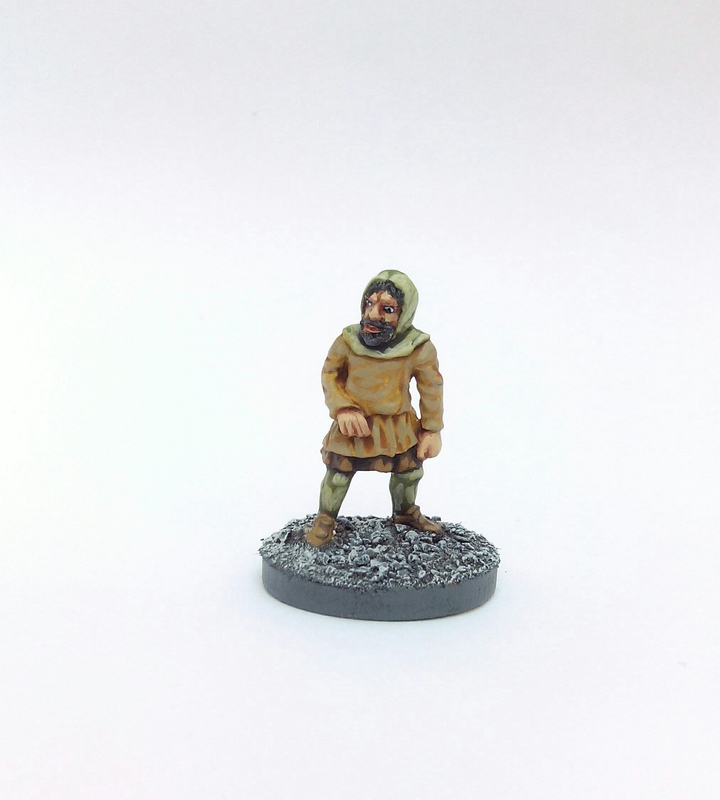 This entry was posted in Post-1990 and tagged Frostgrave, Ral Partha, Wolf on March 19, 2017 by Hobgoblin Orange. 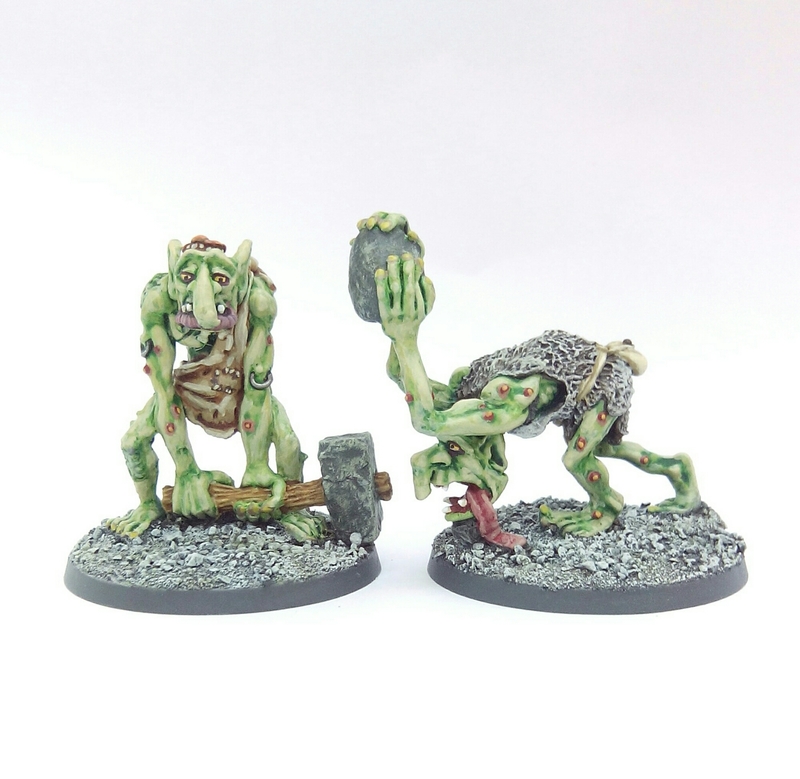 Over the last few years I’ve managed to repurchase two of my favourite Citadel C20 Trolls that I owned back in the 1980s, sculpted by the Perry Twins in 1984. 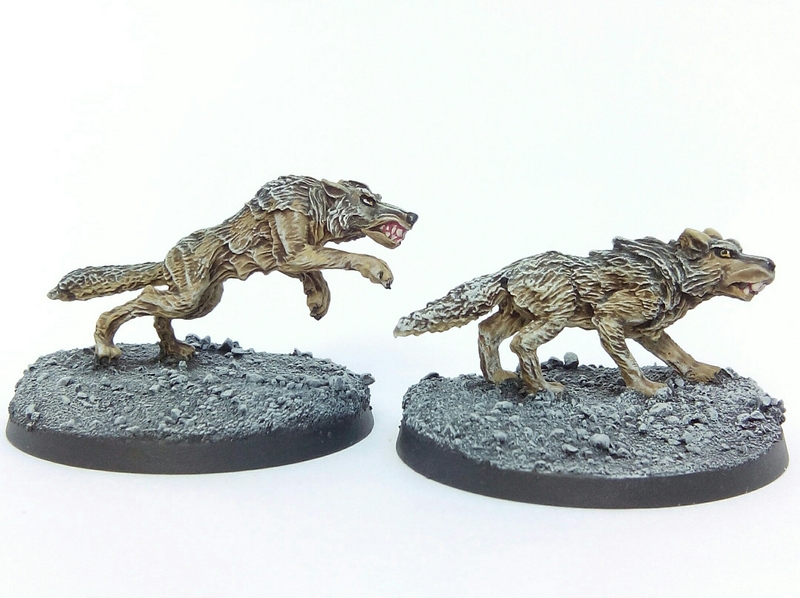 I bought them because a) they were inexpensive as far as these sculpts go and b) because I still love them 32 years after first laying eyes on them. 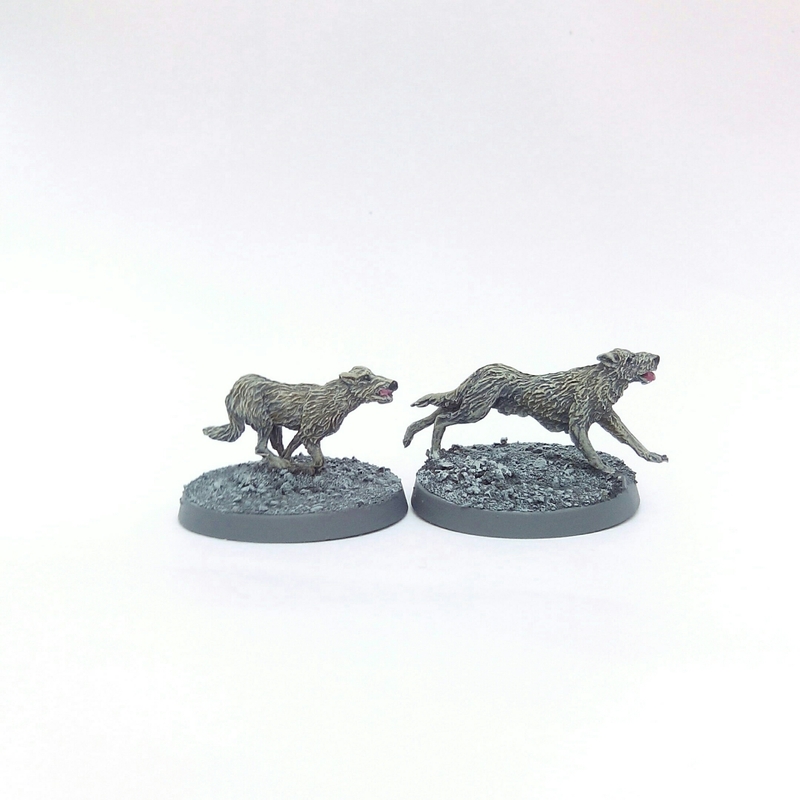 When I started compiling a list for the random encounter creatures in Frostgrave I initially resisted the idea of using these for it, thinking I’d save them for a (as of yet unspecified) “grander plan”. 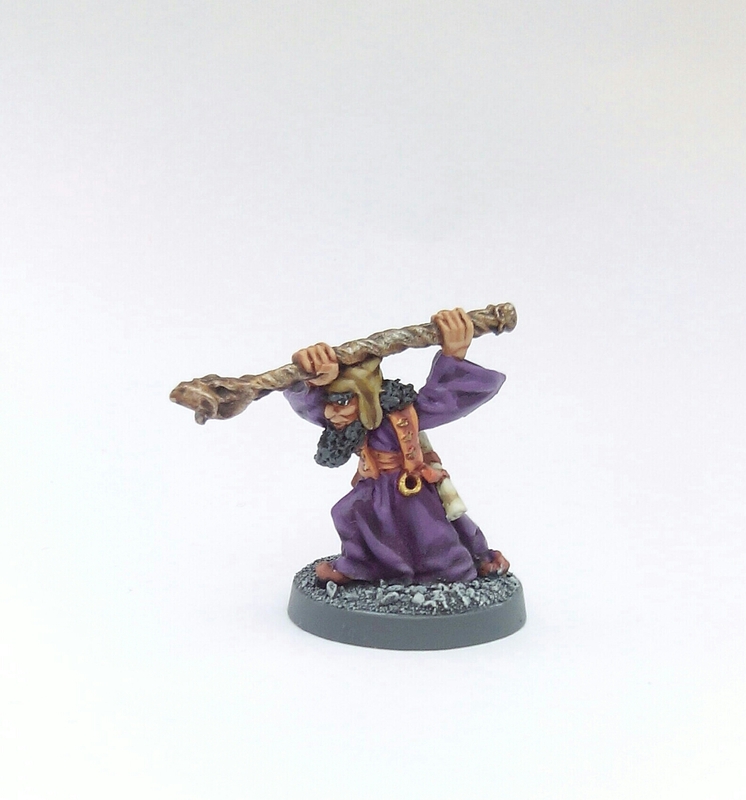 After searching for Trolls to paint for Frostgrave nothing appealed to me so I changed my mind and used them. 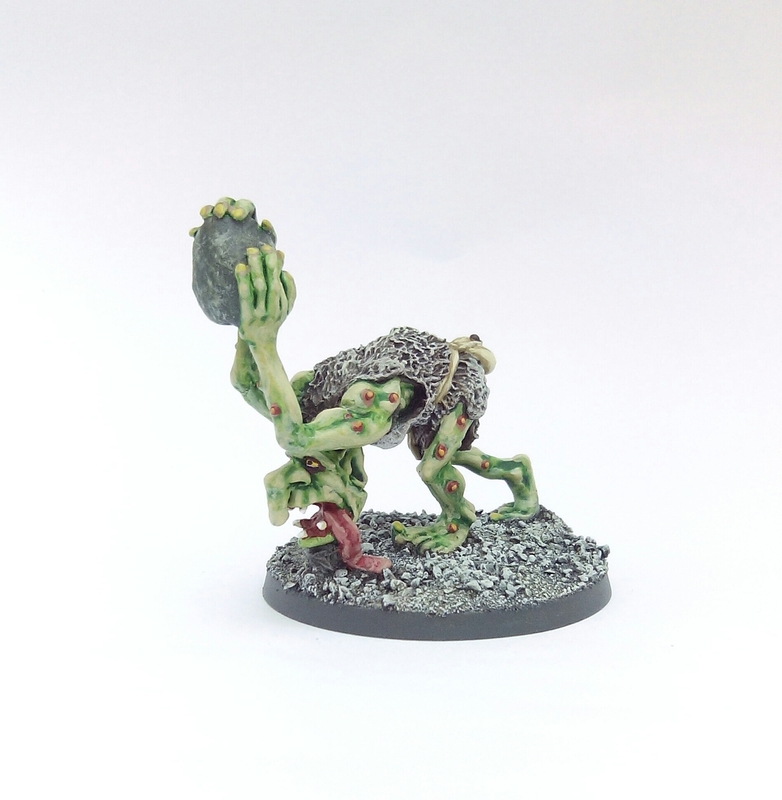 When painting the Frost Giant for Frostgrave I wrote about flesh tones and how I planned to use grey for the Trolls. This hasn’t happened for two reasons. 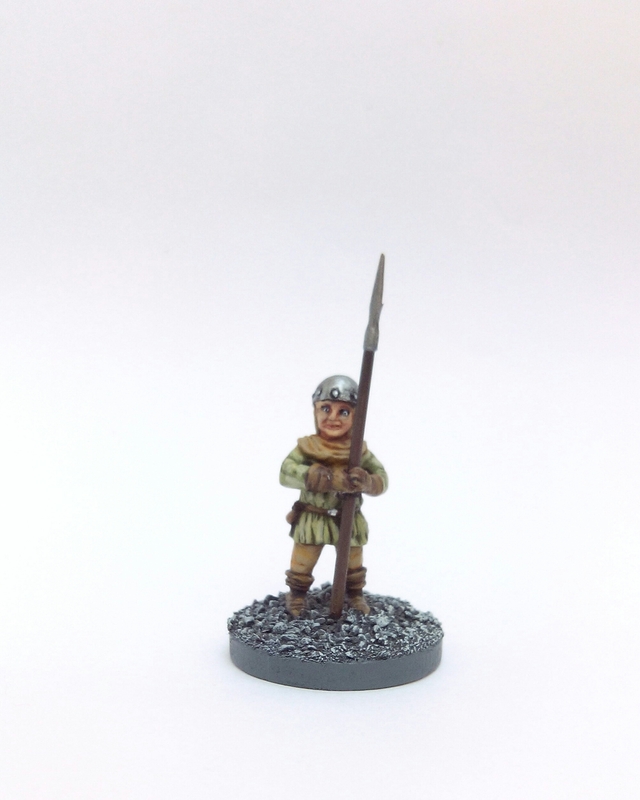 Firstly I was worried they’d get washed out in the standard basing I’m using for the project – battleship grey. 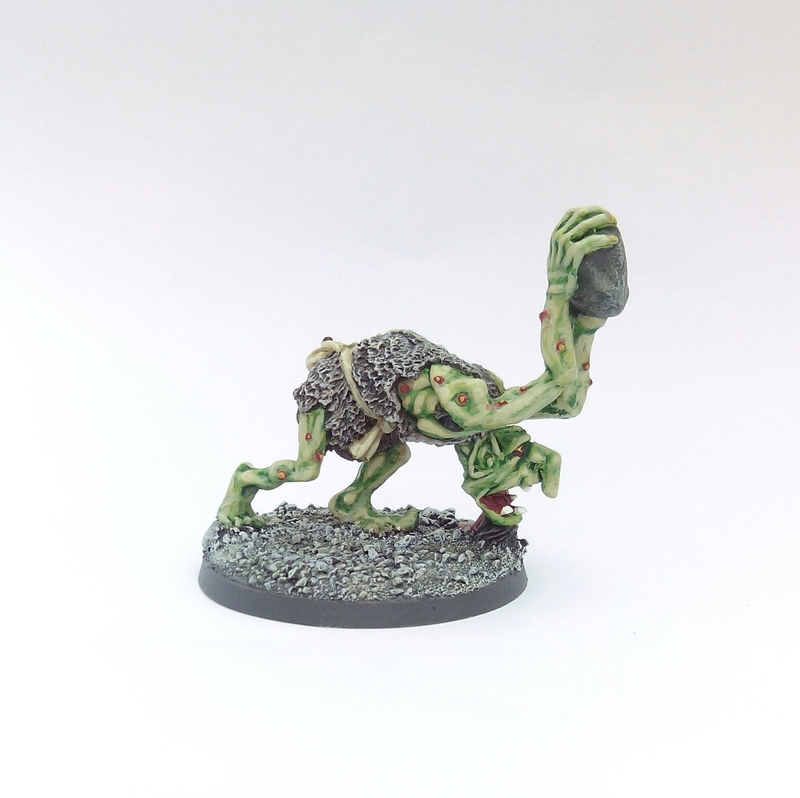 It helps if figures can stand out from this and I didn’t think grey skinned trolls would. 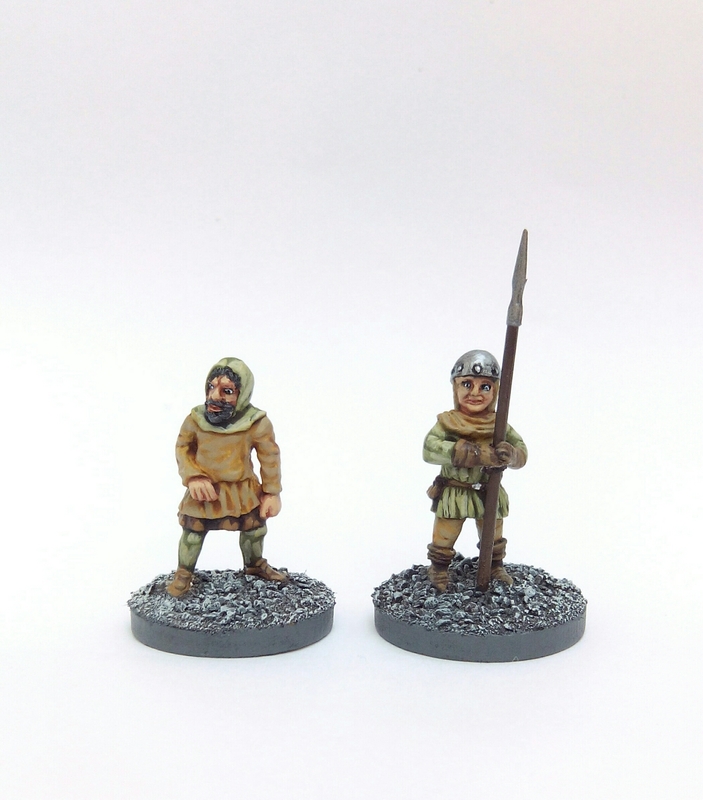 Secondly I couldn’t bring myself to paint these old figures in anything other than green! 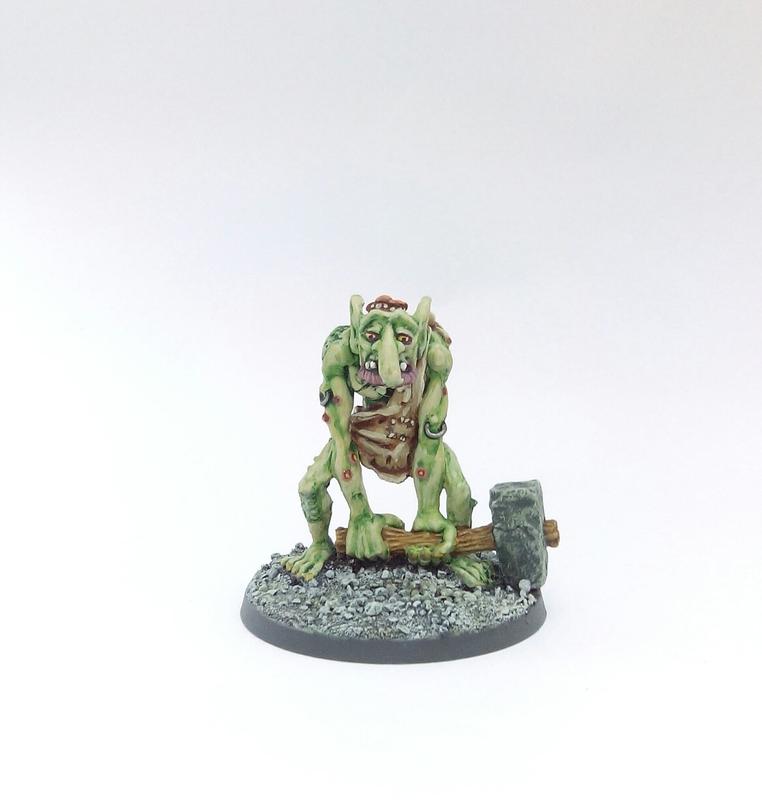 This entry was posted in Pre-1985 and tagged C20 Trolls, Citadel, Frostgrave, Troll on March 12, 2017 by Hobgoblin Orange.